You look in the mirror and what do you see? If your eyes go directly to a protruding belly or thighs that look a bit larger than you think they should, then you might be beginning to wonder “Am I FAT” Considering the barrage of images we get of too-skinny actresses and models every day on the screen, it is no wonder we are all obsessed with our weight. While yes, the population is growing larger, that doesn’t mean every person not a size 2 is fat. And right now, you certainly do not want to develop an eating disorder because you aren’t seeing yourself clearly in that mirror. So, how can you tell if you need to deal with those few extra pounds? 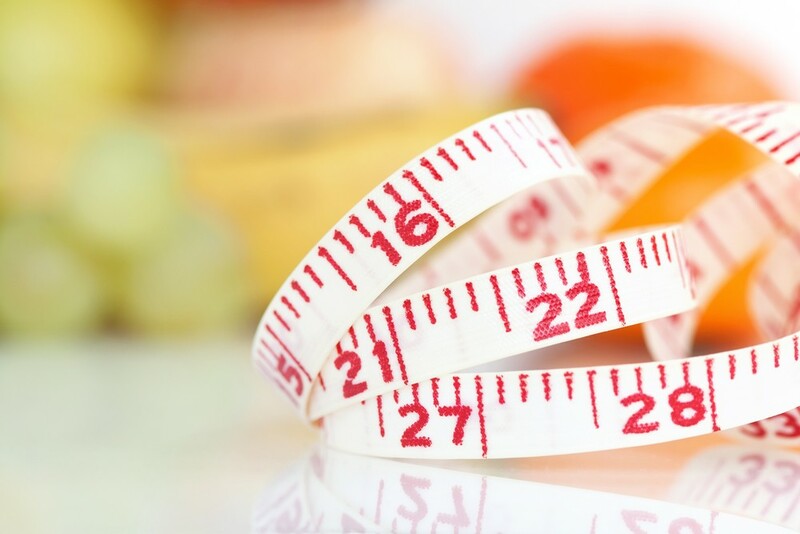 Here are a few tips for deciding whether or not it is time to lose weight. The body mass index (BMI) was developed to determine a person’s overall health and fitness. It calculates our weight and height to determine a scale to see if you are overweight. The normal weight range is up to 24 with 25-29 being considered overweight and anything over 30 considered obese. But watch out! Your BMI could be misleading. For instance, if you are very muscular, the weight of those muscles may skew the reading, making it appear on paper that you are overweight when you are not. The same can be true for people with smaller and larger body types. Since bone mass and fat are not considered different on the BMI scale, someone who is of a small build could be obese, yet their BMI says they are within a normal range; while a larger boned person may look skinny but have an overweight BMI calculation. In addition to BMI, many doctors now look at the Edmonton Scale, which is divided into 5 stages (from 0-4) to help determine if a person is overweight. At stage 0 you show no physical signs of obesity (like tiredness, health issues, etc). It doesn’t matter what your actual weight is, you don’t look it and don’t feel any of the bad effects of being fat. At stage one you begin to feel a few aches and pains, and exercising may tire you out more than in the past. This begins the downward slide toward obesity (stage 4), which showcases some serious health effects associated with your weight. Combined with BMI, the Edmonton scale helps doctors better determine a person’s weight and health status. Do you carry your weight around your middle? This type of visceral fat can be very dangerous – even if the rest of your body appears skinny. You sport an apple-shaped body: this has been shown to increase your risk of developing cardiovascular disease. Exercising is hard. A healthy person can walk around the block without huffing and puffing. If this is not the case, you may need to lose some weight. You have been diagnosed with one or more weight-related conditions (like diabetes, high blood pressure, high cholesterol, etc). The fact is that more and more people are overweight these days. In 2014, nearly 2 billion people worldwide were considered obese (and that doesn’t count those labeled as simply overweight). Still, that doesn’t mean that just because your pants are a bit snug that you are fat. The best way to determine if it is time to lose weight is to review the tips above and see if you fall into any (or more than one) of those categories. If so, check out the resources at The 12-Step Store has to offer in curing your food addiction and finding the healthiest way to lose those unwanted pounds. This entry was posted in Uncategorized and tagged health, Self-esteem, Self-worth, weight. Bookmark the permalink.